In spring of 2015, the Great Barrington Historical Society & Museum formally inducted the infamous Reed case of alien encounters. A shocking precedent, this is thought to be the first-ever UFO encounter that a historical society or American museum has declared to be a historical fact. However, it was not a decision that came easily – it was actually far from unanimous. There are a total of nine voting members on the historical society’s board and three were vocally opposed to the UFO case induction. The minority vote was not alone. The Great Barrington Historical Society & Museum’s decision and its surrounding controversy have led many to wonder: is the Reed family alien abduction a valid historical fact? Or UFO fan fiction? It all began in the small town of Sheffield, Massachusetts in the 1960s. On a September night in 1966, six year-old Thomas Reed and his younger brother Matt were sitting in their family home on Boardman Street. Things were fairly quiet in their residence that evening; it seemed like a sleepy late summer evening like any other… until the lights came. Young Thomas suddenly noticed strange flashing lights coming from a Frisbee-shaped object that appeared to have touched down in their yard. At that moment, everything seemed to have changed – including the pressure in their home. Before they knew it, the Reed brothers found themselves outside in front of the strange, illuminated craft – staring down life forms not of this world. Before the brothers knew it, they were being escorted inside the UFO by the alien beings. Thomas would later recall the creatures as odd-looking, emitting a perpetual ethereal glow. Once all were aboard, they showed the Reed brothers images of a willow tree and a large body of water on a big screen. That was all Thomas recalled. As quickly as it had all happened, he seemed to be back inside his home on Boardman Street. A similar encounter would occur the following year in 1967. The brothers were asleep in their shared bedroom when they were awakened by bright lights and eerie dead silence. And once again, they inexplicitly found themselves back inside the space ship. The final Reed family alien encounter would occur in 1969 – and this time, it involved everyone. Thomas, Matt, their mother and grandmother were driving back from a horse show in Ashley Falls on Route 7. It was just an ordinary family ride home. Just like both of the prior occurrences, there was no warning that something strange was about to happen. Then there were strange lights, a sudden shift in pressure and deafening silence. Suddenly, Thomas recalls being back in the space ship. He remembers being in a big dark room, a body-encasing chamber, a series of long, illuminated corridors and frightfully calling out for his mother and other family members. After all family members were mysteriously returned to the vehicle, the Reeds experienced much confusion and disorientation. They believed that their vehicle was facing an entirely different direction than when it had stopped before the lights earlier. And it wasn’t just the vehicle that was in a state of disarray… the family members were scattered about the countryside highway. Thomas located his grandmother first – she was wandering aimlessly in the middle of the road. Although his mother had been driving earlier, she was now seated in the vehicle’s passenger seat in a seemingly catatonic state. His little brother Matthew was fortunately close by in the backseat – although he was out cold and curled up in the fetal position. Thomas Reed and his family’s claims have been investigated by Bigelow Aerospace, the Mutual UFO Network (MUFON) and many other recognized organizations. Although most of the accounts are largely based on the words of Thomas himself, there are a few major pieces of supporting evidence worth noting. Up until the 1969 event, the primary witnesses were Thomas and his younger brother Matt. However, when the Reed family was seemingly abducted by aliens on public roadway, there was some corroborating testimony from witnesses unrelated to them. 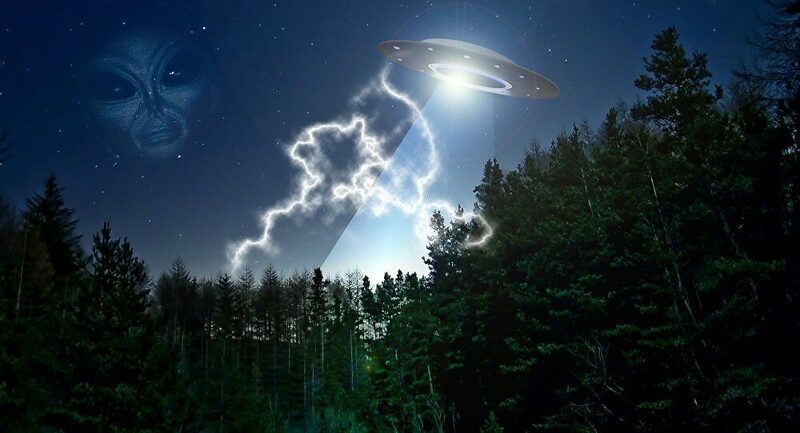 At least 40 other individuals reported seeing an unidentified flying object or strange lights in the area that evening. During each encounter, Thomas Reed described a sudden change in pressure. Official reports filed in the town of Sheffield include unexplained spikes in radiation and magnetic readings around the time of each occurrence. In 2010, Thomas underwent a Polygraph test in his Knoxville home. He was questioned about the 1966 incident– and the polygraph found that he had answered all questions regarding the encounter truthfully. Some have taken issue with the fact that this UFO encounter is being recorded as a “historical fact.” During the 1969 encounter, dozens of concerned citizens reporting seeing an unidentified flying object in the area. Many of those witnesses then called the local radio station, WSBS, which covered the sightings. For this reason, the 1969 encounter has gone down in Sheffield history – but skeptics aren’t sure the Reed family should have anything to do with it. They believe that the UFO sighting itself should be part of history – but the alleged abductions are based primarily on anecdotal evidence submitted solely by the Reeds, not any actual historical evidence. During the 1960s, three separate close encounters of the fourth kind rocked the quiet town of Sheffield, Massachusetts and changed four family members forever. Thomas Reed and his family gave compelling accounts of real-life extraterrestrial abductions. But it wasn’t just them who noticed something strange… during the Reed family’s 1969 encounter, dozens of townspeople also reported see an unidentified object in the area. Whether any or all of these encounters are true or not remains to be seen. But either way, the Reed family alien abduction is now a permanent part of history in the Great Barrington Historical Society & Museum.